Everything you could want from a mascara. The benefits go on forever, just like your eyelashes. 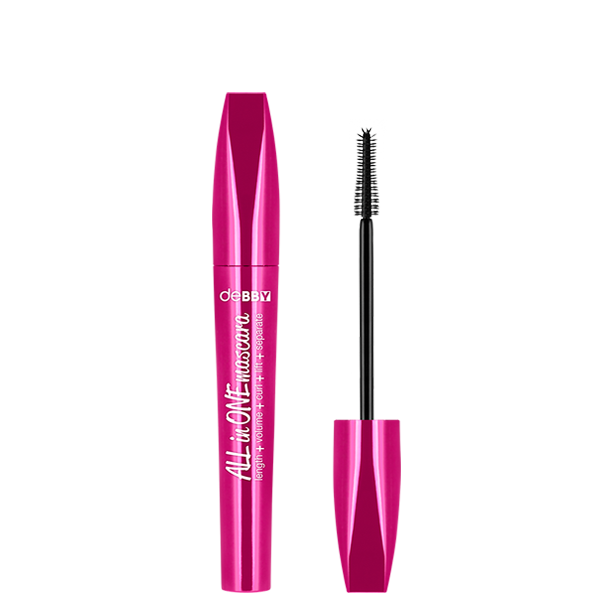 ALL in ONE Mascara: lengthens, curls, volumises and defines. The special plastic applicator has spirals that go all the way to the tip, separating and defining even hard-to-reach corner lashes, without clumping. The richly pigmented, lightweight formula leaves lashes super-soft. Fragrance free. Paraben free. Ophthalmologist tested. IL090318G INGREDIENTS: AQUA, PARAFFIN, CERA ALBA, PROPYLENE GLYCOL, TRIETHANOLAMINE, ACACIA SENEGAL GUM, COPERNICIA CERIFERA CERA, STEARIC ACID, PALMITIC ACID, PEG-75 STEARATE, GLYCERYL STEARATE, TRIMETHYLPENTANEDIOL/ADIPIC ACID/GLYCERIN CROSSPOLYMER, HYDROXYPROPYL METHYLCELLULOSE, ACRYLATES COPOLYMER, RICINUS COMMUNIS SEED OIL, TOCOPHEROL, CELLULOSE, HYDROXYETHYLCELLULOSE, GLYCERIN, POLYAMIDE-5, DECYLENE GLYCOL, TETRASODIUM DISUCCINOYL CYSTINE, POLYETHYLENE, HYDROGENATED POLYCYCLOPENTADIENE, PVP, SODIUM DEHYDROACETATE, PHENOXYETHANOL,CI 77499, CI 77266 (NANO).